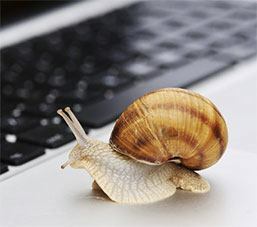 Let’s be honest, there is nothing worse than a computer that is running sluggish. In this day and age, more and more of us are spending hours upon hours on the computer. It can be quite cumbersome having to wait ages for something to load. Thankfully, the vast majority of ‘slowness’ problems can be dealt with pretty quickly. On this page we want to run you through the ‘major’ causes of PC Slowdown. Along the way we are going to give you a couple of ideas on how you can deal with the problem should it occur. You have too many programs running at start up. The more that have to be loaded, the slower your computer is going to get. There is a ‘built in’ option into Windows which will allow you to really trim down what programs are loading at start up. There is even special software out there which will allow you to do this. This is generally much safer. 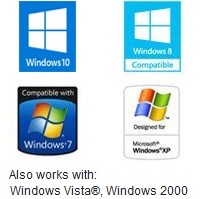 It means you do not have to worry about stopping some programs running at startup which are vital to the running of your computer. Once you have done this, take care to click the options when you install programs not to run it at start up. Most ‘utility’ programs have an option like this. Problems with your Hard Drive i.e. you will have to carry out a ‘disk defragment. See the section on the hard drive for this. Thankfully a slow loading computer is going to be pretty simple to deal with without too much effort on your part! Let’s jump into a few other reasons as to why your computer may be running slow, shall we? If you have a Windows computer you should press CTRL+ALT+DEL. From here navigate through to the task manager. Here you will get an idea of the amount of programs that are running on your computer at that moment in time. It will tell you how much memory and how much processor speed they are utilizing too. If you are pulling off high numbers with those % (i.e. over 80 or so) then you have too much running and you need to trim down. Close down the programs that you do not need to use at that moment from this menu. This will most likely INSTANTLY speed up your computer. Your Hard Drive is going to have a MAJOR impact on the speed in which your computer runs. As you install and delete programs and files, various pieces of your hard drive will get used up and then unused again. This means that when new programs are installed they have to take up whatever ‘hole’ they can find on your hard drive. This means that programs are often split down. Before they can run the program needs to be ‘pieced’ together from the various locations on your hard drive. This can take a while and cause slow loading speeds. The best way to combat this is to run a disk defragmentation utility. You can do this directly from a piece of software built into Windows or you can use a special external piece of software for it. Both of them will do much the same job. Just a VERY quick section here! We can’t stress how important it is that you shut down your computer when it is not in use. You will be surprised at how many people don’t. Shutting down your computer will give it a chance to ‘clear out’ all of those temporary files which it will have stored up during your session. It will also ensure that your hardware is not under a lot of strain. In short; your compute is going to run a whole lot faster as a result. There are a number of people out there who seem to think it is fine to skip those software update notifications. Guess what, it isn’t! These software updates are there for a reason. They are there to repair any security flaws or buggy code. Chances are that by upgrading a piece of software you will be able to get a nice little speed boost from it. Don’t forget to update the drivers on your computer too. These are the small pieces of software which tell the operating system EXACTLY what each piece of hardware on your computer is meant to do. These, just like any other piece of software, are prone to bugs and need to be updated every so often. Sadly, with most hardware there is no ‘instant notification’ that your drivers need to be updated. You will need to take the initiative yourself and track down the right drivers to use. You can also use a special piece of ‘driver finding’ software to this too. We recommend to use Driver Turbo. Remember, if speed matters, you should check out Driver Turbo! Driver Turbo is high-performance driver update software that automatically scans your computer, identifies installed/connected hardware and then locates the latest drivers. It’s a quick and easy fix. Just like you, your computer is going to need a good clean every so often. You won’t be using water though! No matter how careful you are, your computer is going to get clogged with dust. In the early stages this dust is not going to pose too much of an issue. As time goes on though, it will start to clog up the fans. These fans will then not be able to run as efficiently as they should be able to do so. This means that your computer is not cooled down as much as it should be. The result is either a slow running computer or damaged hardware. In most cases you will be dealing with both. Cleaning out your computer is not that difficult. You are going to need to ‘open’ the case though. (if you have a laptop I really suggest you take your computer to a professional as they are slightly more difficult to deal with, even if you have a bit of experience). You are going to need to use a can of compressed air. You can pick this up at just about any electronics store or computer repair company. You will then spray this compressed air to where the dust is. Hopefully it should move it out of place. Once this is done you can use a lint free cloth to wipe up the rest of it. It is important that you do not touch any of the parts in the computer. They are highly sensitive and could ‘blow’. Do not make the mistake of using a vacuum cleaner either! This will also cause components to blow. If you are unsure on how to clean your computer then you should get in touch with a professional who can deal with it for you. Tip: In an ideal world you will want to give your computer a clean once every couple of weeks, or even once a month. Any longer than this and you will start to notice issues. In a few cases the only way in which you are going to be able to give your computer a speed boost is by upgrading the hardware inside of the case. If you do not know how to do this then we really do suggest that you get in touch with a computer professional or contact our friendly tech support who will steer you in the right direction. They will help you to choose the right parts, and even fit them for you! This way you can look forward to a computer that functions well with next to no effort on your part! Here are a couple of tips on upgrading the speed of your computer. The Processor: This is the ‘brain’ of your computer. If does not matter how fast the rest of your computer is, if the processor is slow then it will not be able to keep up with all of the processes. Your processor may need upgrading if you are constantly hitting the high percentage of processor usage when you are running only a few programs. To be honest, the processor is quite difficult to replace. Well, not so much difficult, just a bit expensive. If you need to go down this route then you may as well just purchase a whole new computer. RAM: For many people, the tripping point of their computer is not having enough RAM. You will be able to check the amount of ‘memory’ you are using by going to the task manager as I mentioned previously. You should always check the specification of computer software to check whether you have enough RAM to run it properly. The more programs you are running at once, and the more sophisticated those programs, the more RAM you are going to need. In this day and age I suggest at least 4GB of RAM at the minimum. You could probably get away with 2GB, but you are not going to have much flexibility in the running of your computer. Upgrade your hard drive! There is plenty you can do here. Of course, increasing the size of your hard drive, particularly if you find yourself consistently lacking space, is a good idea. You will want to make sure that you look into the ‘speed’ of the hard drive (this will be the speed in which it reads and writes data) the higher the RPM, the faster it is. This will speed up your computer. In addition to this you may want to look into the option of installing a solid state drive. These are blazingly fast, but they can set you back a bit of money. If you want to get a solid state hard drive then you may want to wait for technology to improve over the next couple of months so you can get something that is of a fairly decent size. If too much needs doing to your computer (i.e. you have to upgrade more than a couple of parts) then it is probably going to be worth purchasing a new computer altogether. Yes, this will cost you a bit of money, but for the time being you are going to be ‘future proof’. Just make sure you keep it in good working condition to ensure it stays running perfectly for as long as possible. Conclusion: This guide should help you deal with the vast majority of speed issues. There is very little we have not covered here. If you want to read more about the “Causes of PC Slowdowns” we recommend the following article. Remember, if these techniques do not work then it may be the hardware in your computer. You should probably upgrade it if you have been stuck with the same computer for more than a couple of years.